I received an Advance Reader's Edition from the publisher to facilitate this review. All opinions expressed are 100% my own. This post contains affiliate links. I may receive a commission if you make a purchase using some of the links below. Maddie and Ian's love story began with a chance encounter at a party overseas, while she was a travel writer visiting her best friend, Jo. Now almost two decades later, married with a beautiful son, Charlie, they are living the perfect suburban life in Middle America. But when a camping accident leaves Maddie badly scarred, she begins attending wiring therapy, where she gradually reveals her fears about Ian; her concerns for the safety of their young son; and the couple's tangled and tumultuous past with Jo. So I finally took a break from reading YA and historical romance to get back to reading my first love -- thrillers. 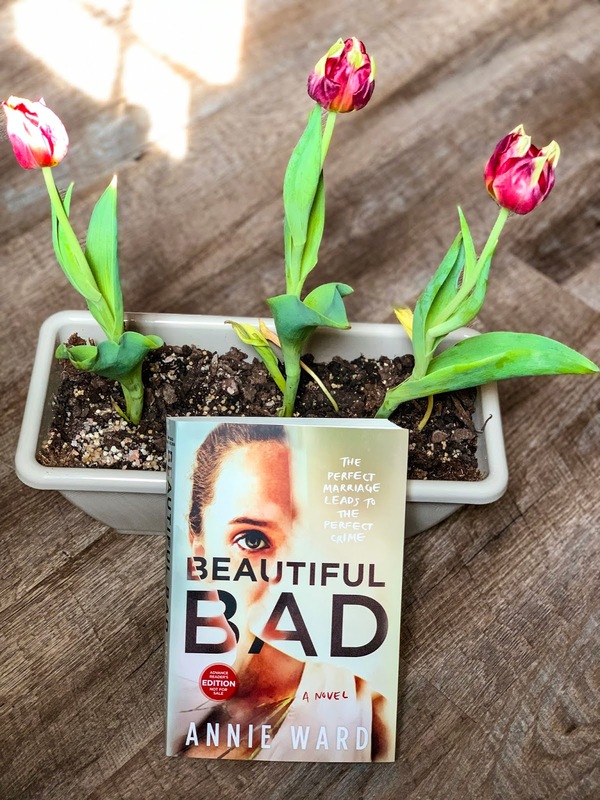 It had been ages since I'd read one, but when I saw the synopsis for Beautiful Bad by Annie Ward, I just knew I had to give a read. I added it to my wish list. In a nutshell Beautiful Bad is essentially a tragic love story about two beautiful people who fall in love while both are on different assignments in the war-torn Middle East. Both having suffered a variety of misfortunes during throughout their lives prior to meeting, it goes without saying that Ian and Maddie were already broken before they met each other and before they both ended up in the Middle East during wartime. The story starts off twelve weeks before "The Day of the Killing." I am scared that I am going to lose control, go crazy or die. All three! I sometimes feel like my mind is possessed by another person or creature. It's made evident from the get go that Maddie is going to be an unreliable narrator. So from the first chapter, I was already trying to figure out how much of Maddie's telling of events I was going to believe. There are two chapters from Ian's point of view and then one chapter from Jo's. Even though I already knew to take Maddie's side of the story with a grain salt, Ward did such an amazing job of sucking me into Maddie's world and getting me to sympathize with Maddie. When I say this book completely sucked me in at times, I mean there were times when it like I was standing right there watching the action unfold. There's one scene in the book where Charlie, Ian and Maddie's son is talking himself in the bathroom. In my mind, this story was so vivid that in that moment, I felt like I could actually hear his little voice and envision his little face. Another thing that I enjoyed about Beautiful Bad is that jumps between the present and the past. Readers get to journey back in time and see how things between Ian and Maddie became so bad. It's in these glimpses of the past that we can see things building and building to "The Day of the Killing." And while we see the killing coming, don't think for a minute that you have everything figured out because you probably won't. In my mind I kept thinking that I had "The Day of the Killing" figured out. I was like, "Wow, I already know who the killer is." Listen, I was off track. Ward through me some curveballs that I didn't see coming. Now this book does tackle/mention/show some serious tops such as social unrest in foreign countries, mental illness (PTSD for sure and maybe a little bit of a personality disorder), domestic violence, miscarriage, and loyalty among friends. Honestly, it sounds like a lot to fit into just one book, but I promise that it all works and doesn't seem like overload. Each one serves a purpose and pushes the plot further along and/or locks another piece of this puzzle into place. Although, this book is fiction, there are still lessons to be taken away. For example, when it comes to the mental health issues, it was clear to both Ian's as well as Maddie's families that they both had be through trauma that altered their personalities and mental states, but neither family tried to intervene by seeking out professional help. This is something that plays out a lot in real life. I can speak from personal experience of seeing mental health issues being swept under rug because "we don't do therapist" or "they'll be fine, they just need time." Maddie definitely had the brunt of the mental health issues in this book. There's the accident she had when was a kid followed by her moving to war-torn country and seeing so much, then having a baby and probably getting a touch of postpartum to then experiencing just another accident that further put her mental health at risk. But the biggest take away from this book is that even the most beautiful of things can go bad at any moment. Hence the title of this book. 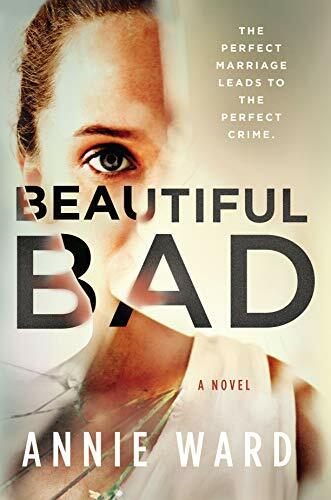 Overall, I really enjoyed Beautiful Bad and recommend it if psychological thrillers and/or unreliable narrators are your thing. I'm looking forward to seeing what Ward writes next for sure. For more you check out her website. Follow Annie on Facebook, Instagram, Twitter, and Goodreads. Ooh, lovely takeaway message and this one sounds all sorts of twisted and interesting I'm glad you didn't have it all figured out! I also do enjoy unreliable narrators in thrillers and it's awesome that you managed to sympathise with Maddie though.. Great review!